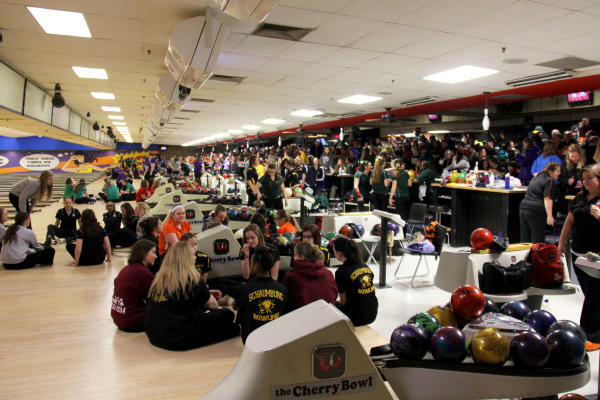 The Rockford Area Convention & Visitors Bureau is pleased to welcome the 2017 Illinois High School Association (IHSA) Girls Bowling State Finals back to the Rockford region February 17 - 18, 2017. Approximately 220 bowlers will compete in singles and team games at Cherry Bowl in Rockford, IL. This is a “big win” sports tournament for the region that fills approximately 550 hotel rooms with visitors projected to spend an estimated $103,000 while visiting the Rockford region. Bowling takes place on Friday, February 17 - February 18. From 9 a.m. – 3:30 p.m. both days at the Cherry Bowl , 7171 Cherryvale N. Blvd., Rockford. The top bowling teams with the highest pin count for both rounds in the sectional competitions advance to the IHSA state final tournament. There are a total of 24 teams, 30 individual bowlers and two athletes in the wheel chair division all competing in this tournament.